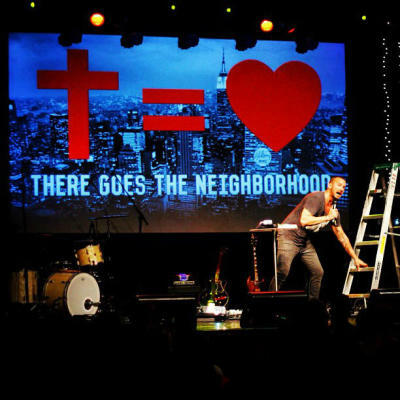 Carl Lentz, presented in the mainstream press of late as an evangelical anomaly, was featured in Detail magazine's October 2013 issue in a story titled "Jesus Christ's Superstar" with a question posed asking whom the Hillsong NYC pastor was seeking to glorify. Lentz, 34, founded and co-pastors HIllsong NYC with Joel Houston, son of Hillsong Church founders Pastors Brian and Bobbie Houston. Lentz and Houston have managed in three years to turn the vibrant congregation "into a Pentecostal powerhouse and a destination for the in crowd," according to Details. Previously noted by The Associated Press for his fashion sense, ministry style and a je ne sais quoi that happens to attract Millennials, superstars, and everyday New Yorkers, Lentz appears to have the potential to become this generation's Billy Graham. But instead of packing stadiums, Lentz has been packing NYC's Irving Plaza concert venue several times over with thousands of people for Sunday services. With lines snaked around the block long before the start of every service, many worshippers are willing to stand, or sit on the floor, if they miss out on seats once inside. "He is going to be be huge," Christian minister Priscilla Shirer is quoted as saying of Lentz during a guest speaker appearance at Hillsong NYC, which draws over 5,500 people to its eight Sunday services, two of which now include a traditional chapel setting. Pastor Lentz "has that X-factor, that thing you're born with that makes people gravitate toward you," says Justin Bieber's manager, Scooter Braun. "I'm a proud, practicing Jew, but you don't have to be Christian to be moved by Carl's words and his passion." "Drawn by his concertlike sermons and pop-idol looks, Lentz's fast-growing flock of groupies include Justin Bieber, NBA superstars, and young Hollywood celebs," the magazine notes, before questioning: "But whom, exactly, is this new apostle of cool seeking to glorify?" The answer, according to the feature, is uncompromisingly Jesus. Wiping sweat from his brow under the disco ball, Lentz cited John 6:53 and spoke of a total commitment to Christ: "Unless you eat the flesh of the Son of Man and drink His blood, you have no life in you.' He then explained the meaning of Jesus' words: 'When you take a bite of me, when you really follow me, everything in me goes in you — you can't pick and choose.' Lentz leaned out over the edge of the stage, his voice rising. "You have to be consumed with this. I'm talking about flesh of my flesh, blood of my blood, everything in me in you, and if you're not about that, you need to go follow somebody else." Lentz was ostensibly talking about his savior, but it almost sounded like he meant himself. "Because this is not a game. I am not a circus. I am not just traveling around doing cool things. I am after followers." The Hillsong NYC pastor, scheduled to speak next month at Hillsong Conference's first-ever U.S. engagement, previously ministered at Wave Church in Virginia Beach, Va. He also studied at Hillsong International Leadership College in Australia, where the main church is located in the capital. It is also where Lentz met his wife, Laura Lentz and Hillsong NYC co-pastor Joel Houston, who leads the wildly popular and influential Hillsong United worship band. Hillsong Church was founded in 1983 by Brian and Bobbie Houston as Sunday night outreach meetings that initially attracted a few dozen people. Currently, the Sydney megachurch, affiliated with Australian Christian Churches (the Assemblies of God in Australia) is the country's largest and hosts over 30,000 worshippers every weekend. Hillsong NYC was its first U.S. location and a Southern California congregation is in the works. The Sydney-based megachurch has 11 congregations worldwide with six campuses and a dozen extension services across Australia.